In some ways, the Denver Post and Contra Costa Times’ cutbacks in copyediting, announced last month and now final, is a common story these days. Less common are the other changes they’re making in how they handle print stories. 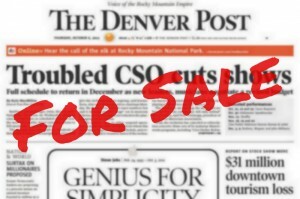 The Denver Post is eliminating its copy desk and moving away from an assembly-line editing process. Instead, reporters and editors on each desk will take stories from reporting to publishing, online and in print.